ATLANTA – March 18, 2019 – Peterbilt is showcasing its on-highway Model 579, featuring new exterior options and the proprietary PACCAR Powertrain, at the 2019 edition of the American Trucking Associations Technology Maintenance Council (TMC) Annual Meeting in Atlanta, Georgia. The Blackout Exterior Package includes an exclusive black effect exterior paint for the cab and sleeper, Dura-BlackTM aluminum wheels and a black finish grille crown. The package is available for order immediately. 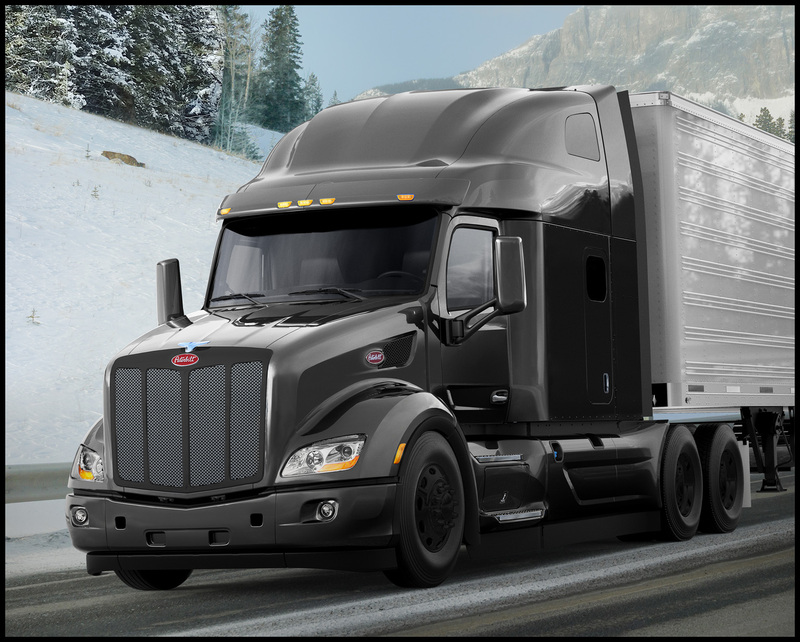 Peterbilt customers can also order the black finish grille crown and Dura-Black aluminum wheels as standalone options with any exterior color.